Names for food are fascinating. The Poles call them Halubky, Betty Crocker titled them Stuffed Cabbage, as a child growing up in an ethnically rich area: NYC suburbs we heard other names, but Blind Pigeons stuck. By any name, as cabbage is coming out of the gardens, and cole slaws have sided many dinner plates, give the cabbage a front row ticket. The tomato sauce tops off the colors with red highlights... oh so fashionable! Remove core of cabbage, then put into boiling water. Boil 5 minutes or until leaves are limp. Thoroughly mix the beef, onion, eggs, rice, salt and pepper. Place approximately 1/4 c meat mixture on each cabbage leaf; fold the two opposite sides and roll starting with the thick edge. In the bottom of a large pan, place some extra cabbage leaves, add cabbage rolls and cover with the remaining leaves. 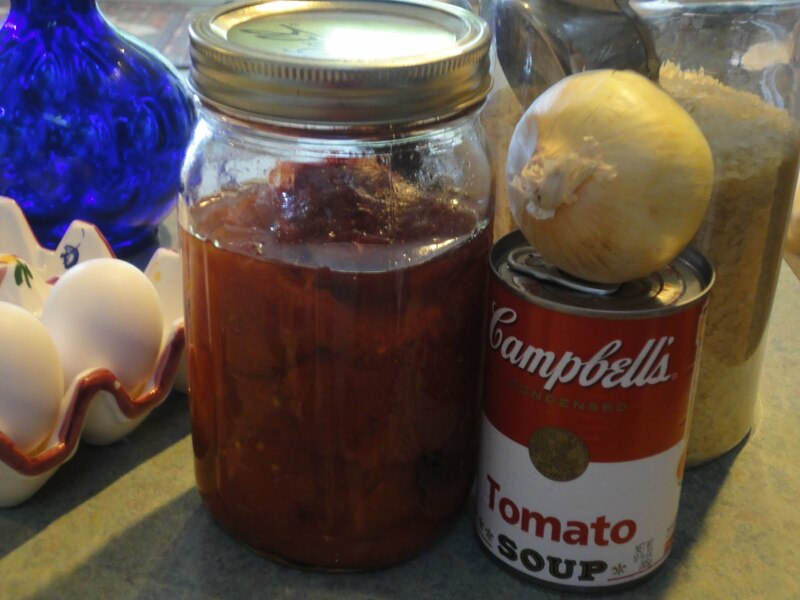 Combine water with tomatoes and soup. Pour over the top of the cabbage rolls. Loosely cover with aluminum foil. Bake at 350 for 2 hours.